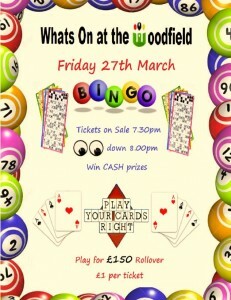 Bingo @ Woodfield 27th March! 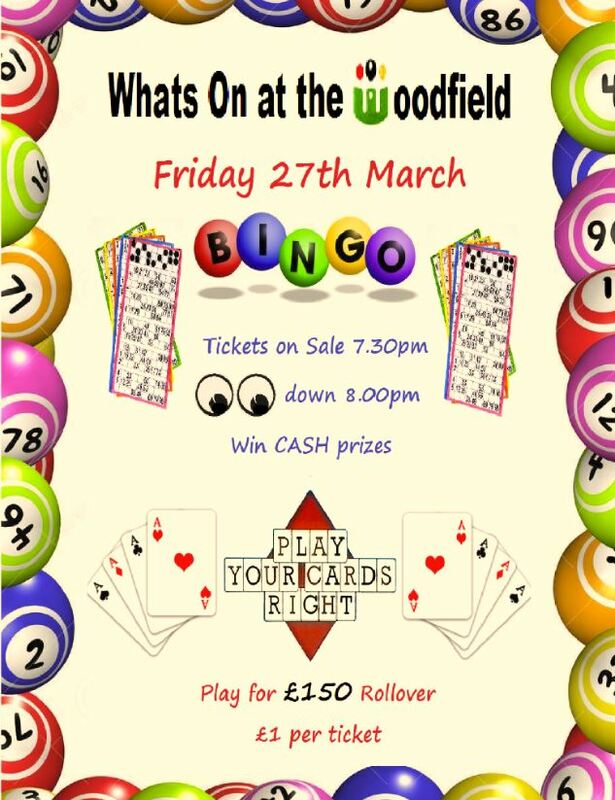 Join us for a night of BINGO! at the Woodfield. Friday 27th March – With our Play Your Cards Right ROLLOVER — £150 to play for! We hope to see you down the club!